SB500 features a high quality, giant 5-inch high-intensity LED display, 250-foot viewing distance, weatherproof mild or stainless steel enclosure, mounting tabs, bi-directional RS232 port, auto-learn serial protocol, lb, kg, T, t, G and N. Custom programmable software to create your own graphics. 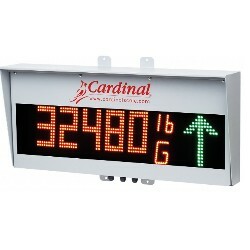 Cardinal Scale Manufacturing's SB500 remote display boasts a giant 5-inch/127 mm tall, high-intensity LED display easily read up to 250 feet away. A weatherproof mild or stainless steel enclosure with mounting tabs allow it to be mounted on a vertical surface. Other features of the remote display available from Central Carolina Scale include bi-directional RS232 serial port and other connectivity options, auto-learning serial protocol, annunciators for lb, kg, T, t G and N. Custom programmable software to create your own graphics. The interface can autolearn most serial protocols. 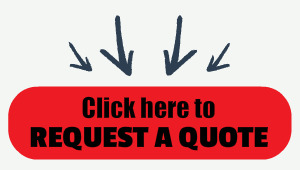 One custom protocol can be entered into the unit. The interface is configurable for serial data input as either an active or passive 20mA current loop, RS-232 or RS422/485, and also has the connectivity options of Wi-Fi, wireless, fiber optic and ethernet.